Please download and install IUWEshare SD Memory Card Recovery Wizard(Win/Mac) on your computer at first. IUWEshare SD Memory Card Recovery Wizard(Win/Mac)is a reliable Compact Flash Card Recovery tool that specializes in recovering photos, images, video and audio from CF Card used in digital cameras and other storage devices. It can recover all types of image files, including RAW formats from Canon, Nikon, Sony, Fuji, Olympus, Pentax, Sigma, Foveon, Kodak, Minolta, asio, and so on. 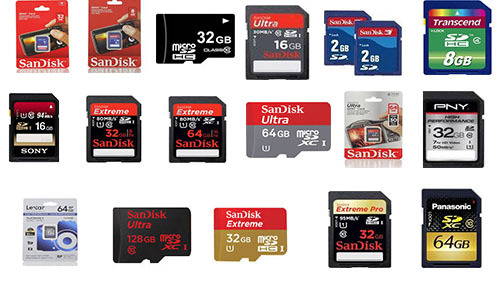 Moreover, it supports all major memory card formats including PC card, Compact flash, Smart media, Memory stick, Memory stick duo, Memory Stick Micro M2, Multimedia card, MMC micro Card, Secure Digital card, miniSD card, microSD card, xD-Picture Card, Intelligent Stick, etc. Step 1. Launch IUWEshare SD Memory Card Recovery Wizard. Connect your camera or card reader to your computer. it will appear as a drive letter, which will allow program to access the data on the CF card. Select the Compact Flash card where you lost your data and click "Scan" button, the software will quickly scan the selected disk to find all your target files. Step 2. Preview and recover the lost data. After scan, you can preview all the listed recoverable files on the Compact Flash card one by one and select out those you want. Then, click "Recover" button to get them back once.